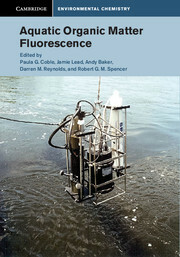 This is the first comprehensive text on the theory and practice of aquatic organic matter fluorescence analysis, written by the experts who pioneered the research area. 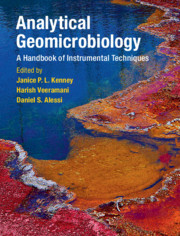 This book covers the topic in the broadest possible terms, providing a common reference for making measurements that are comparable across disciplines, and allowing consistent interpretation of data and results. 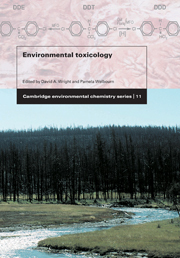 The book includes the fundamental physics and chemistry of organic matter fluorescence, as well as the effects of environmental factors. All aspects of sample handling, data processing, and the operation of both field and laboratory instrumentation are included, providing the practical advice required for successful fluorescence analyses. Advanced methods for data interpretation and modeling, including parallel factor analysis, are also discussed. 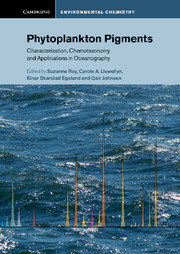 The book will interest those establishing field, laboratory, or industrial applications of fluorescence, including advanced students and researchers in environmental chemistry, marine science, environmental geosciences, environmental engineering, soil science, and physical geography. 10. Cheometric analysis of organic matter fluorescence Kate Murphy, Ramus Bro and Colin A. Stedmon. Paula Coble is Professor in the College of Marine Science at the University of South Florida and has been involved in research on the fluorescence of natural organic matter for twenty years. She is one of the original researchers to use Excitation Emission Matrix Spectroscopy (EEMS) for characterization of aquatic colored dissolved organic matter (CDOM) and has published several reviews on the topic. 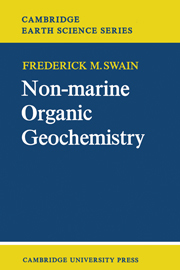 Coble's research interests have focused on cycling of CDOM in marine and estuarine systems, development and deployment of in-situ fluorometers, and using fluorescence to trace organic matter cycling and water mass mixing. 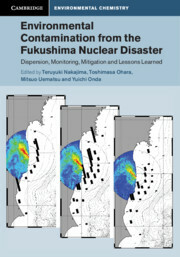 Most recently, Coble has been advancing application of the EEMS technique to the study of oil spills in the marine environment, including distinguishing between the effects of physical and chemical dispersion. Jaimie Lead is Professor of Environmental Nanoscience and Risk and Director of the Environmental Nanoscience and Risk SmartState Center at the University of South Carolina, and Adjunct Professor of Environmental Nanoscience and Director of the Facility for Environmental Nanoscience Analysis and Characterisation, University of Birmingham, United Kingdom. His research aims to understand both natural and manufactured nanoparticles and their interactions, as well as their fate and impact in the environment and encompasses work from synthesis and characterization to risk and regulation. Andy Baker is Director of the Connected Waters Initiative Research Centre at the University of New South Wales and Research Program Leader in the National Centre for Groundwater Research and Training, Australia. He is a researcher in the contrasting fields of past climate change, hydrogeology, organic matter characterization, and isotope geochemistry. 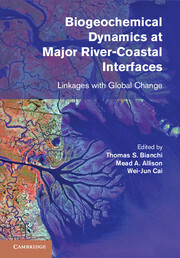 Common themes include an interdisciplinary scientific approach between the subject areas of geography, Earth science, environmental science, and engineering. Baker has published more than 150 internationally refereed papers, including papers in high citation-rate journals such as Nature and Science, and has been awarded and successfully managed more than sixty research grant applications. He was awarded a Phillip Leverhulme Prize in 2003 and a Durham University Institute for Advanced Studies Fellowship in 2009. 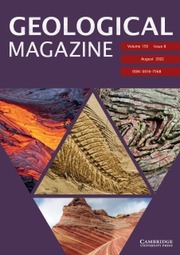 Baker's role in aquatic organic matter fluorescence commenced in the 1990s with his investigation of organic matter preserved in cave stalagmites. This then led to research on organic matter fluorescence properties of karst groundwaters, UK rivers and, finally, engineered systems such as drinking and waste water treatment systems. Darren Reynolds leads a research group within the Centre for Research in Biosciences and sits on the Scientific Advisory Board for the Institute of Bio-Sensing Technology at the University of the West of England, Bristol. He is a multidisciplinary scientist concerned with the development of technology platforms for applications in the fields of environment/agri-food and health. Reynolds's research interests include the development of optical technologies and techniques for environmental and biological sensing and bio-prospecting applications. He is currently involved in the development and use of synthetic biology (bioluminescent reporter bacteria) for the discovery and characterization of bacteriophage and to assess their potential use as a bio-control/antimicrobial in the health and agri-food sectors. He is developing, in collaboration with industrial partners, in-situ fluorescence sensors to help further understand the role of dissolved organic matter in underpinning the microbial processes in aquatic systems through time. Robert Spencer is Assistant Scientist at the Woods Hole Research Center, Massachusetts. He is an Earth system scientist whose research encompasses both aquatic geochemistry and biogeochemistry, predominantly focused on the carbon and nitrogen cycles. The majority of his research centers on the interface between the hydrosphere and biosphere over environmental timescales within natural systems. Spencer is a highly interdisciplinary scientist and uses a suite of analytical techniques to examine the influence of physical, chemical, and biological processes – especially watershed hydrology, ecosystem processing, global climate change, and land-use change – on the carbon and nitrogen cycles within aquatic and terrestrial environments. A major focus of Spencer's current research is examining controls on the export, processing, and fate of organic matter in the critical zone from the tropics to the Arctic, from soils and glaciers through rivers and estuaries and into the ocean. Spencer has utilized organic matter fluorescence extensively in this research for delineating sources and degradation histories of organic matter, as well as to improve resolution of components of the organic matter pool (e.g. dissolved organic carbon and biomarkers).